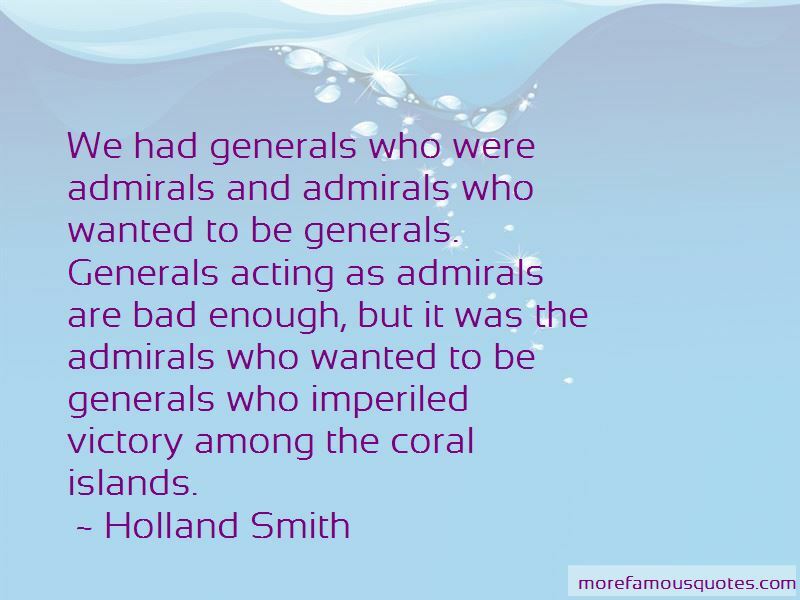 Enjoy the top 3 famous quotes, sayings and quotations by Holland Smith. 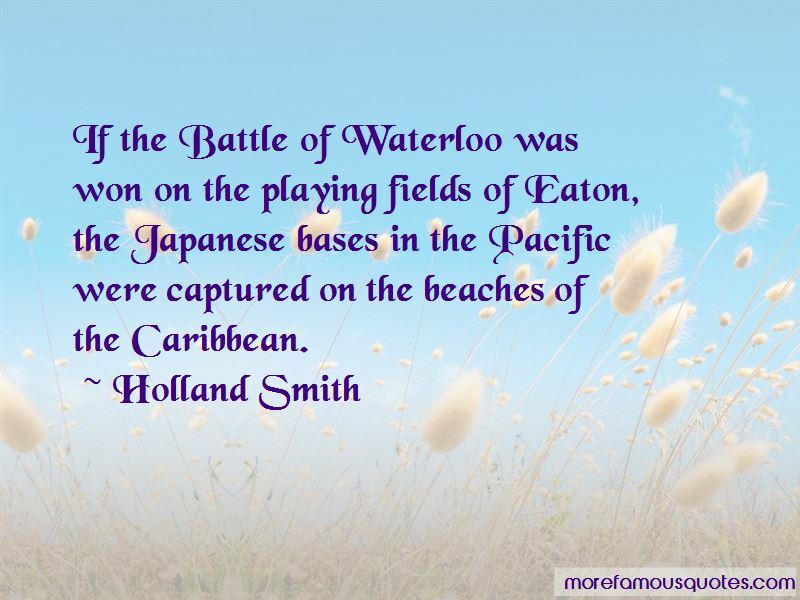 If the Battle of Waterloo was won on the playing fields of Eaton, the Japanese bases in the Pacific were captured on the beaches of the Caribbean. Want to see more pictures of Holland Smith quotes? 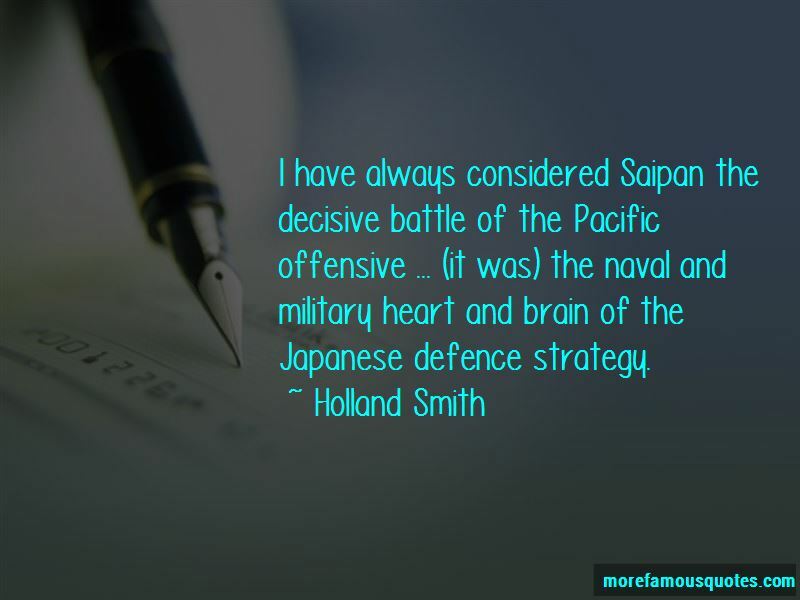 Click on image of Holland Smith quotes to view full size.